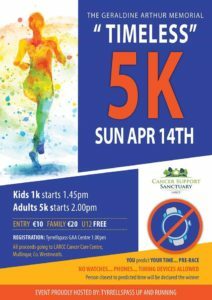 Tyrrellspass up and Running are hosting the Geraldine Arthur Memorial 'Timeless' 5K on Sunday 14th April. There are separate runs for adults and kids. 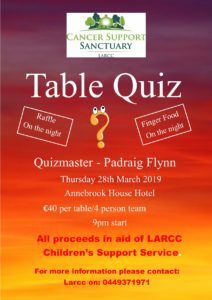 Entry is €10.00, Family €20.00 and under 12s are FREE. 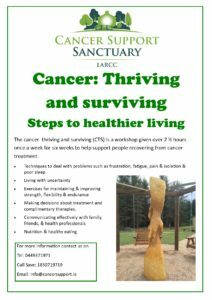 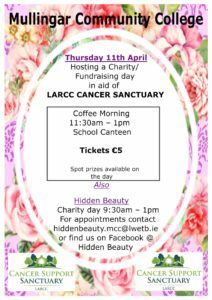 All proceeds are being donated to LARCC Cancer Support Center.